Today, more people take interest in affiliate marketing because it is an excellent way to earn money without leaving the house. Apparently, it’s not that easy as it sounds! The rapid development of online marketing eventually enhances the competition. Thus, the initially required knowledge and experience is now no longer enough to stay ahead of the curve, every time. 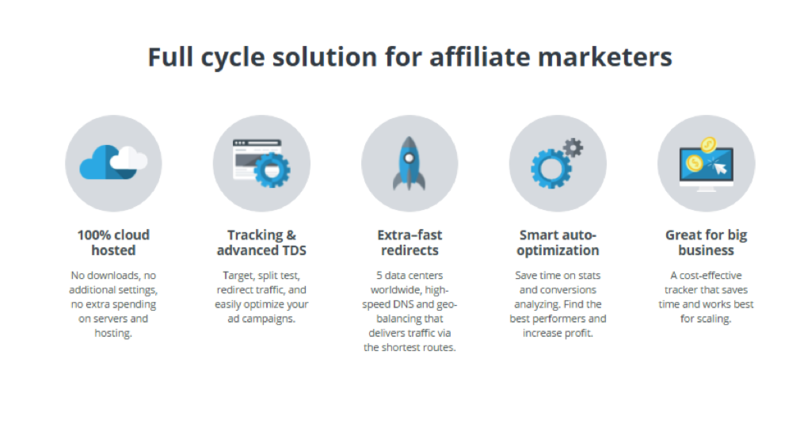 And, if you decide to walk this journey, you might as well consider using modern affiliate tools that can optimize your strategies, help you to stand the intense competition and make profit (which is the main goal!). One of such tools is a tracker. Tracking systems help to control all your traffic. They automate the setup and launch processes of campaigns, calculate KPI, collect and analyze statistics, and finally, optimize the traffic distribution, bringing more money. Traffic distribution — AdsBridge enables you to distribute traffic by GEO, devices, languages, OS, etc. (more than 16 parameters available). You can purchase any traffic and then precisely set up targeting, analyze statistics, and monetize all traffic in time. Split-testing — with the help of a split-test option, you can easily check which of your offers or landing pages performed better. In cases when there is one and the same offer on several CPA networks, you also can determine which of them brings more conversations, and how many redirects are made before the user gets to your offer. Pre-landers — for some verticals like dating, nutra, and download, affiliates use pre-landers which usually increase the general performance up to 30%. 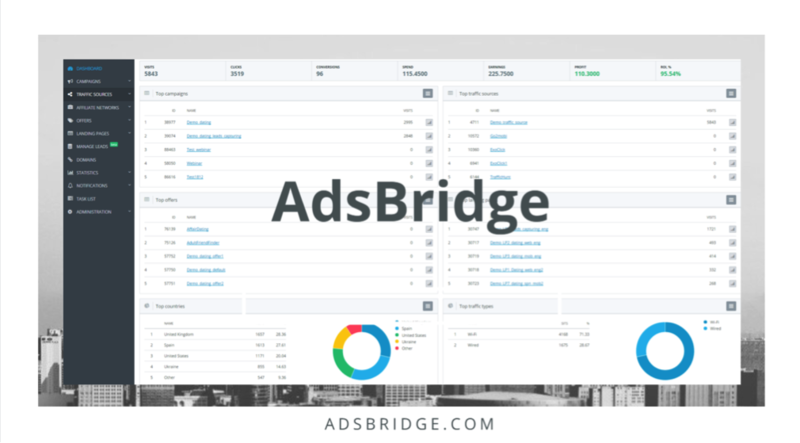 AdsBridge is probably the only tracker that has an inbuilt landing page editor, enabling you to create, set up, and then test all your landing creatives. More to it, all landers are hosted on our side and all graphic content that you upload on jump pages operates through CDN provider with which we cooperate. Fraud filtering — you can set the tracker to determine and filter out the fraudulent traffic and this way, ensure that it remains clean. Cloaking — most trackers have hide referrer functionality. They also enable you to redirect the undesirable traffic to the neutral domain. AdsBridge provides such domain by default but you can add your own one as well. Multi-User access — this features will come in handy for large affiliate teams, however not all trackers have it. AdsBridge lets you work under one account and easily track the efficiency of each manager, monitor their work, and if necessary limit the setting rights for new employees, ensuring the safety of information. Auto-optimization — having this feature in tracker you no longer have to waste much of your time to optimize your campaigns, all at once. 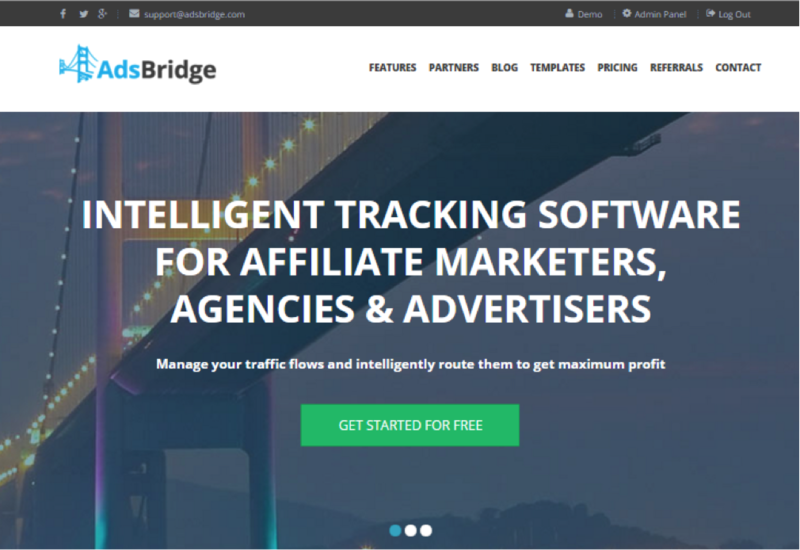 On AdsBridge, you can set the conditions and time intervals for statistics calculation, and the system will automatically provide you with the data on the best-performed landing pages and offers. With that in mind, tracker offers you multiple options which save time and help to make real money. Now, what you should take into account is that to register in the system is not quite enough. You have to understand the working principle of a tracker before you actually start using it to your benefit. Otherwise, you won’t make much of it. Generally speaking, the working scheme of a tracker is quite simple. 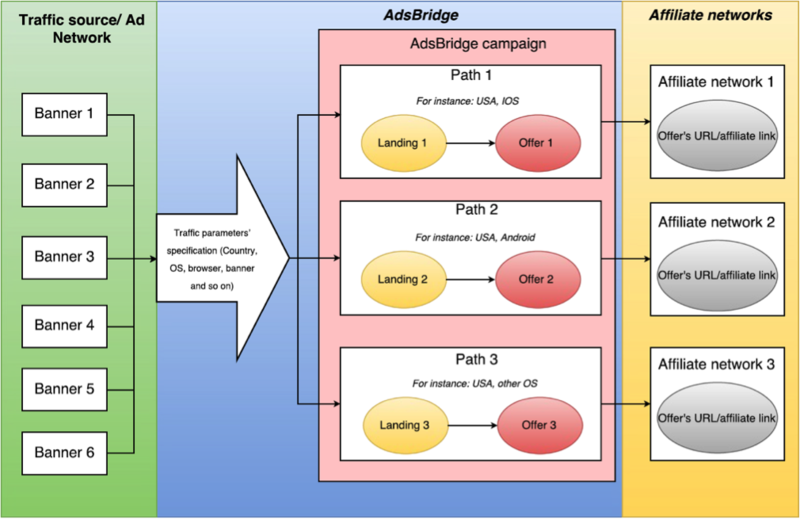 Below we depicted a path that users follow from the moment they click and until they land on the offer (on the example of the most common scheme: traffic source – tracker – affiliate network). As you see, the tracker is placed between the traffic source and affiliate network, and all processes go through it. You purchase traffic on the source. Then you create a traffic source, place banners on it with a tracker’s campaign URL and set targeting by parameters. When the user clicks on the banner, tracker compares parameters, analyzes traffic, determines its path, and then directs it to the landing page (in case it’s used). Some users are filtered out on this stage. Other part clicks on the landing page and gets to the offer. Basically, the offer is the link on the affiliate network which gets users to the page with a product, registration, download, etc. 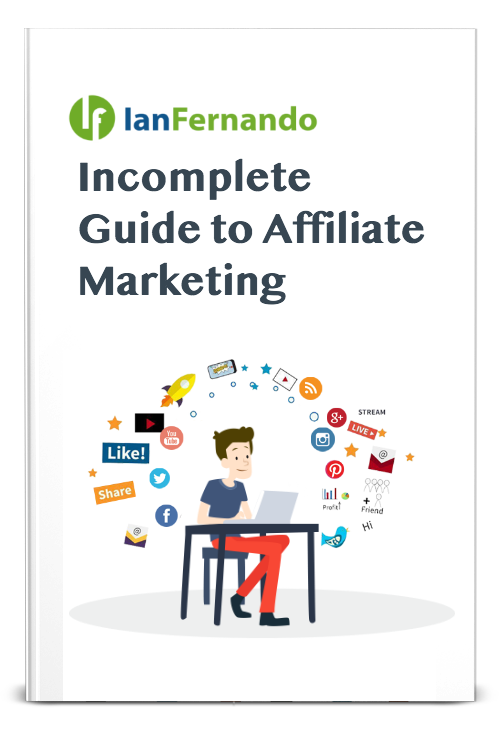 Of course, there are more complicated schemes of work with a tracker but we recommend you to get acquainted with the simple processes before you go further with your affiliate marketing, and take it to the next level. In the meantime, no matter what traffic you distribute, the tracker will be your reliable and efficient assistant. Start using it today and you will see how easy and beneficial it gets. AdsBridge offers a 30-day free trial to all newcomers. Register today and begin your affiliate journey with AdsBridge!